« We don’t need no education. Except that we do. Before you venture into reading this post, please note that this is not an attempt to win any ‘I’m more tired than you’, ‘I’ve had less sleep than you’, or ‘I’ve got it so much worse than you’ competition. I have always believed when a person is tired, it’s relative. You are no more or less tired than anyone else – you are simply tired and need more sleep, babies or no babies. Having said that, at this time in my own life, I have never been more sleep deprived. I knew having a baby would be tough, but I had never realised it would be quite so hard. I bet that if you are reading this and have children you are now laughing out loud in a BAHAHAHA HA HA kind of way. And those without children are probably rolling their eyes. We had a tough start to parenting with our baby being born 7 weeks early, and spending those 7 early weeks in a neonatal unit, but I have gained some perspective and now know there were many silver linings to our situation. For example, we brought our baby home with a built in 3-hourly feed clock, he was sociable with others from being handled by lots of different nurses all the time, and miracles of all miracles, he seemed to know what day and night was. In fact, at night he was sleeping in 5-hour stretches pretty much straight away, with just one night feed in between. How lucky were we! At 3 months old, almost overnight, he changed. He wanted to feed ALL NIGHT LONG, and would only sleep for 90 minutes at a time. It was as if someone took my baby and replaced him with a different baby wanting completely different things. “Oh don’t worry,” said the health visitor, “it’s a growth spurt.” Phew, well that’s OK then. “How long does the growth spurt last for?” I asked. “A few weeks is about normal,” she said. Even better, at least we know it’s going to end soon. But, it didn’t end. What they didn’t tell us, or couldn’t possibly foresee, was that our baby had developed a habit. He’d been through his growth spurt, but was now waking every 90 minutes just because he’d got used to it. How were we supposed to know the growth spurt had ended and now it was just him playing us to get more food? After a couple of months we finally twigged we’d have to do something. We were suffering from extreme sleep deprivation by this point and we needed an intervention, fast. Our baby was nearing 6 months old. I love co-sleeping. There is nothing I love more than having our baby snuggle in with both of us and him drift off to sleep. And not only that, he seemed to sleep for longer stretches with us next to him. Result! But it’s not really sustainable is it? Not for us anyway. I know some parents do it for a long time, and if that’s what works then great, but it didn’t make us feel all that comfortable to know we’d be doing that for a long time. We would bring him in our bed when he couldn’t settle at all. We would do it most nights… in fact, every night, but we knew we couldn’t carry on that way. A night nanny – the crack cocaine of the parenting world. You know you shouldn’t, you try it once, you say never again, it’s too expensive. You give in, just once more you say, just one more night – and before you know it you’ve invited her back five or more times and you’re £500 down. Ooops. I remember after one of the nights the night nanny said to me “you know you’re going to have to do this by yourself at some point don’t you?”. I just stared at her with a blank look on my face, paid her and said thanks, see you in a few days. Joking aside, we did work together to cut down on the night feeds and she helped us with new techniques of how to settle him. So the money was well worth it. These pop up every now and again and give you hope that you’ve cracked it. A few times our baby slept 5 hours, 7 hours, even 10 hours. Every time you think “this is it, we’ve done it!” But no, you’re back to square one almost immediately. You’ve just got to be prepared that sometimes your baby will have a laugh with you – make you think the cycle is broken and trick you into a false sense of security. These babies are clever. They know they’ve got you right where they want you and there’s nothing you can do about it. Damn you babies! We eventually got to the point where we were at breaking point. We were snapping at each other all the time, losing our tempers over silly things and weeping most mornings. I even stopped tweeting! As luck would have it, I happened to talk to another mum at a group I went to a few weeks ago. I didn’t know her at all, but we started talking about sleep and our babies. She told me about her friend who had used a sleep clinic to help her with her baby. She said they had worked with the parents and got her baby sleeping through the night in 11 hour stretches in just a few weeks. I nearly bit her hand off for the name of this clinic and promptly called them for help. Working with the clinic we devised a whole new routine for the day time and night time. The night time plan did include a bit of controlled crying, but to my surprise, it hasn’t been all that terrible. The longest he’s cried for so far is 15 minutes. OH. MY. GOD. We are making progress!! I sometimes feel that by getting external help we are cheating, but I then rationalise these thoughts by knowing that by spending a couple of hundred quid we’ll eventually be able to get a night time routine that is sustainable and we can finally feel human again. Also, we are lucky enough to be able to find a couple of hundred quid to make this happen. Don’t get me wrong, we don’t sit in our lounge on beanbags full of fifty pound notes, but we are lucky enough to know that spending this money won’t kill us too much. And so far, it’s paying off. Look for signs your baby’s habits are changing. Don’t ignore them because it might be too late. I ignored the signs. It was too late. 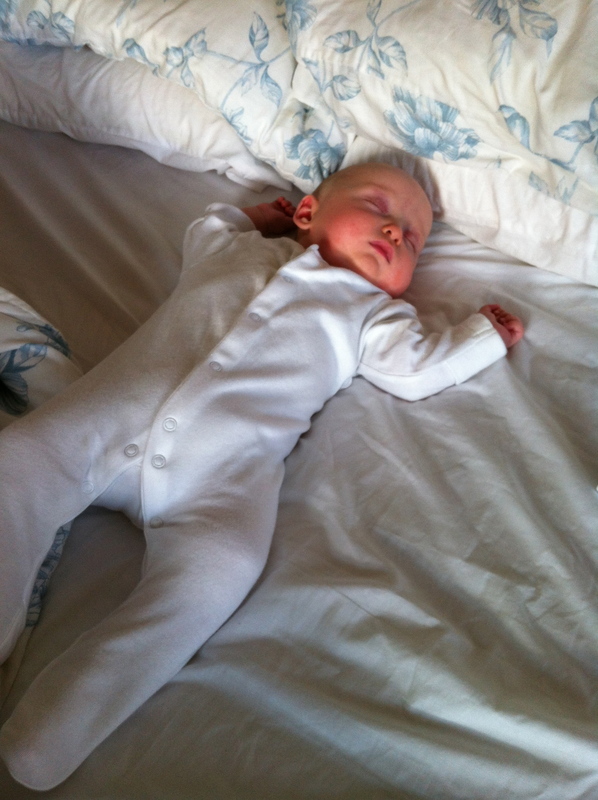 Co-sleeping is good for a temporary sleep solution, but it’s not necessarily sustainable. Make the most of it while you can. Celebrate the flukes, but know they are just that, flukes. If you don’t realise they are flukes you will cry uncontrollably with frustration the very next night when your baby is awake ALL NIGHT LONG. Night nannies are awesome, but expensive. If you get one, use her wisely. They don’t last forever (unless you have more money than God). There is no shame in getting external help. If you can scrape the money together, it could be the best money you’ve ever spent. The clinic we are using is called Millpond. Have a look, they may just change your life (they didn’t ask me to say that, by the way).